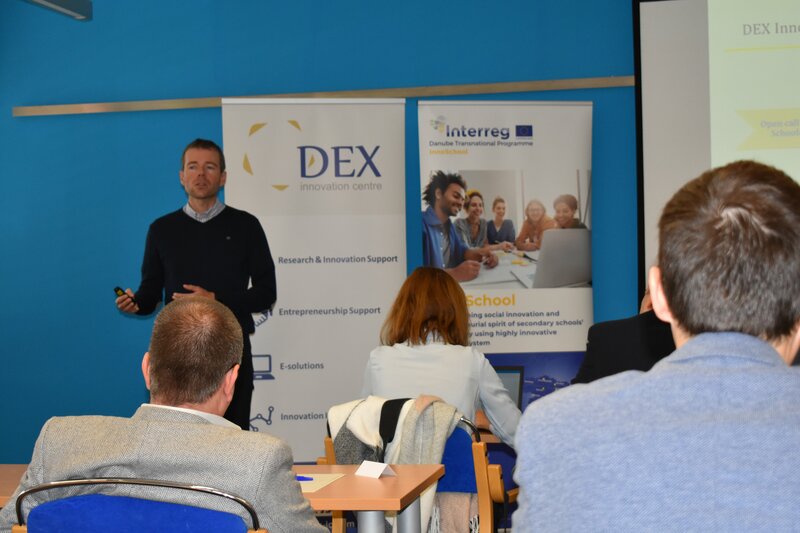 Projekt InnoSchool was introduced in Liberec! On Tuesday 25th and Wednesday 26th of September 2018, we have met with partners of the InnoSchool project in Jablonec nad Nisou to start preparing its next phase. We agreed, that before the development of the serious game itself, we need to undertake a thorough research amongst secondary school students in order to establish the knowledge of what social needs are they interested in. In other words, what drives the attention of young people and what they want to deal with. According to the results of research, our colleagues from the Technical University of Kosice will help with the technical aspects of the serious game under the supervision of the Vienna Board of Education. 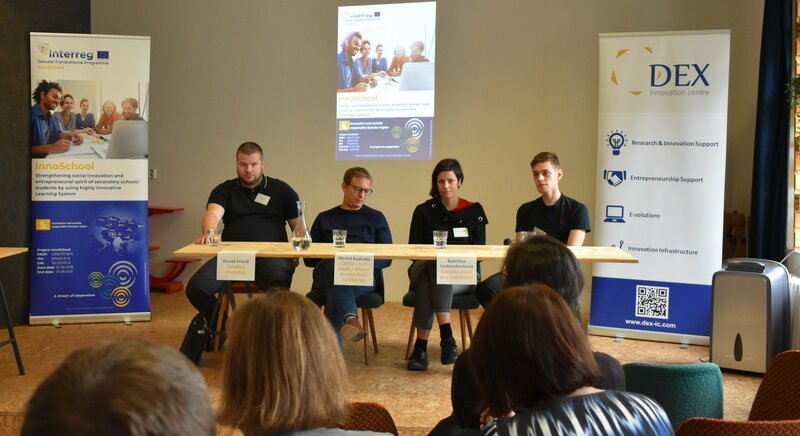 Then, on Thursday the 27th of October, we have met at KultiVAR in the centre of Liberec to introduce InnoSchool to the public. 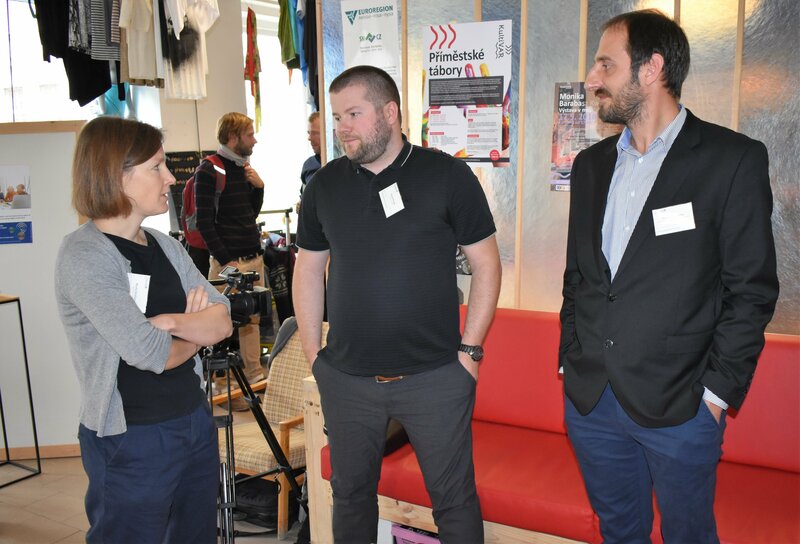 We had a pleasure to welcome more than 40 guests from the Czech Republic and abroad, representatives of educational institutions, policy bodies, organizations working with social needs and similar projects in the fields of digital education and social entrepreneurship. After the welcome speech, Vojtech Jira, project manager for CZE, introduced the project. “Our mission is to strengthen entrepreneurial mindset, social innovation and skills of secondary school students”. 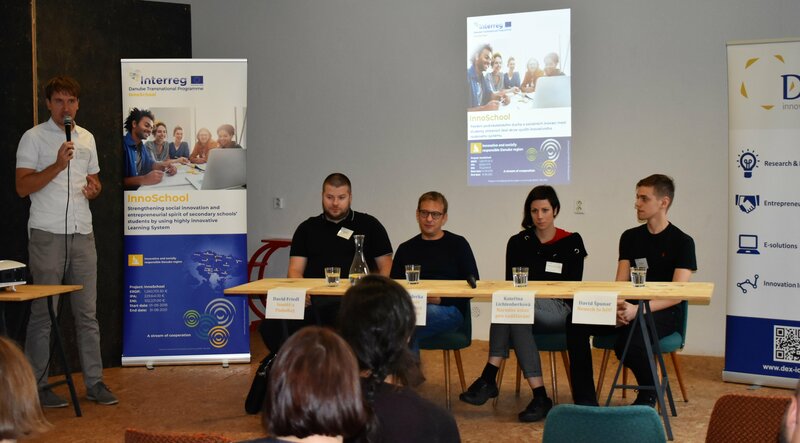 InnoSchool is a project that combines serious interactive game, teacher guidance and lecturing and consequently improves the motivation of students for social entrepreneurship in involved European regions. Further, the game will be interconnected with social media and the schools will compete against each other on a national level. Students interested in entrepreneurship occasionally encounter family problems. David Spunar, a secondary school student, doing business with his project FaceUp, mentioned two major barriers – the family and the school. Parents often push their children to attend the university in order to get a diploma and higher wage since the wage is related to the level of education achieved. And many students are afraid they will not be able to successfully complete the school together with doing business. 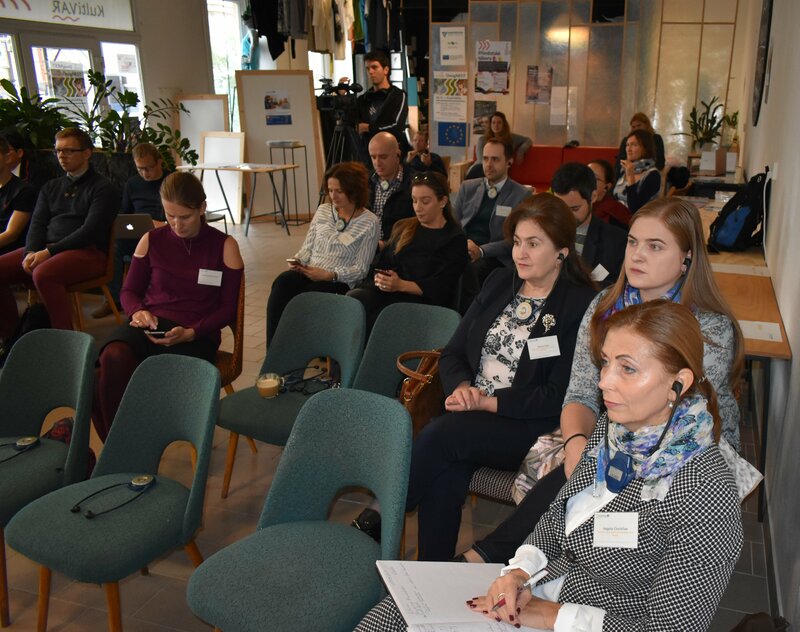 InnoSchool address both – the motivation of students for social entrepreneurship, the use of digital technologies as well as support and training for teachers. 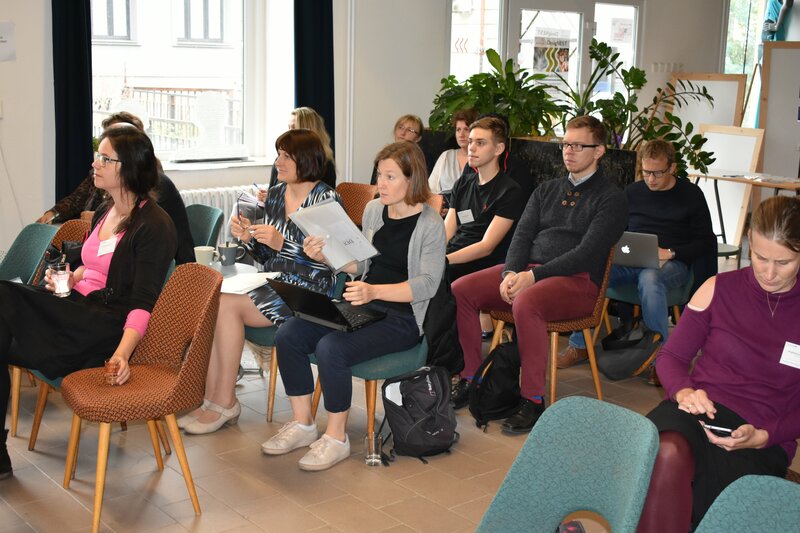 Therefore, we, together with our partners, form a unique educational system that will be applied with minor changes in 9 European regions with the goal of integrating the InnoSchool Learning System into curricula with help of our strategic partners.